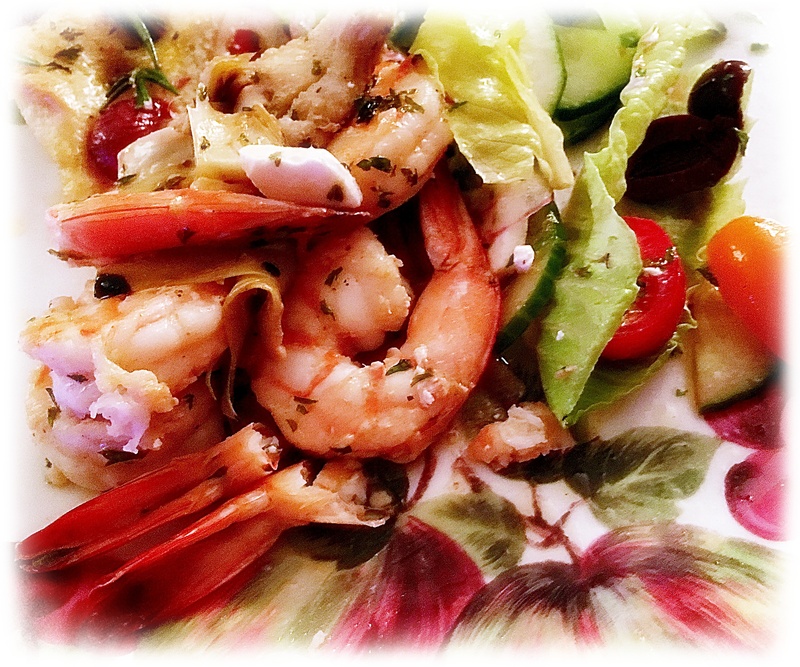 This week we are featuring another Ina cooking project, How Good Does that Look and what a good way to start off the week with a bit of a departure serving Ina’s roasted shrimp cocktail, peeking out of a thoroughly chilled gazpacho or my favorite, roasted shrimp tossed into a butter lettuce Greek salad…you can make Ina’s suggested cocktail sauce or make your own favorite sauce or maybe a trio of sauces. Ina suggests the following seasonings and measurement, but I have also added a pinch of smoked or plain paprika, lime or lemon seasoned salt for a bit of a pucker up treat. Toss and roast on a lightly oiled sheet pan, chill until serving time or add to cold fresh gazpacho or freshly made Greek salad serve with crusty bread and chilled white or Rosé wine.